The Early Childhood Educator of the Year award is given to an educator who is a shining example of making a difference for our youngest learners. To be considered for the award, educators were nominated by a teacher, parent, director, or someone else who has seen the impact that they have made in their profession. This year, we received 111 nominations from across the globe! 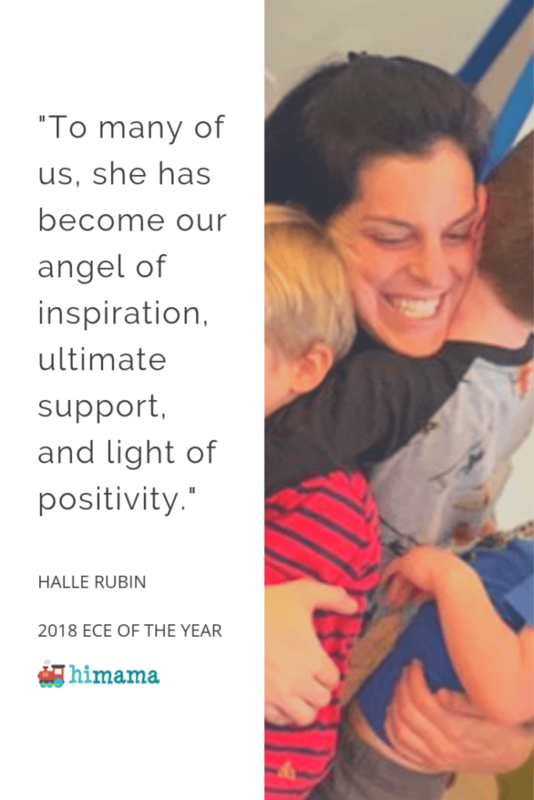 For this year’s award, our judges selected Halle Rubin, Director at Children’s Creative Center in Chicago, IL, as our 2018 Early Childhood Educator of the Year! Halle was nominated by Kinga Tomczyk, a fellow educator at her Center. 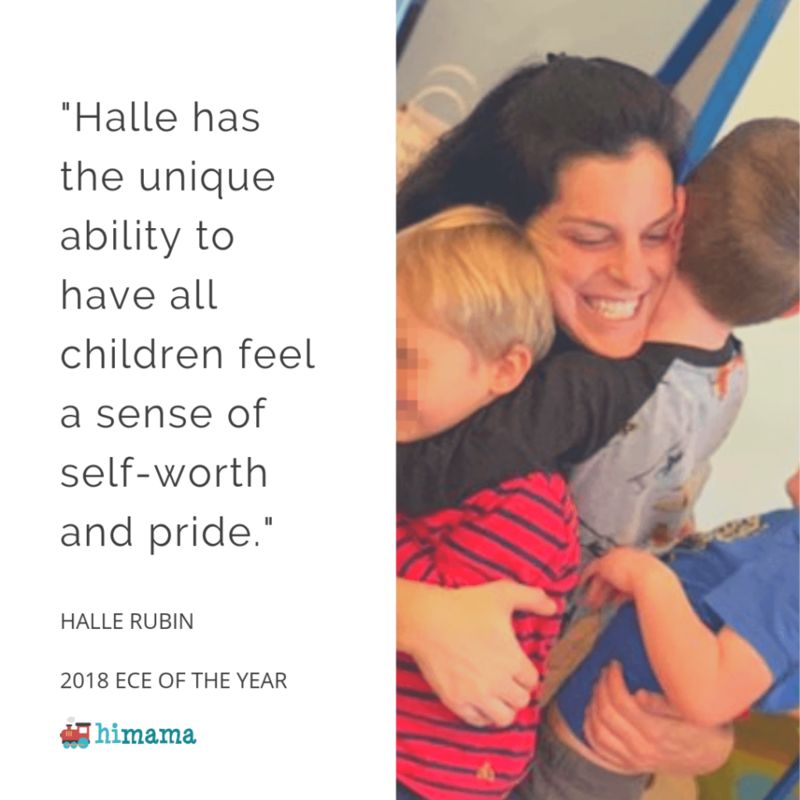 Below is the nomination that Kinga wrote about Halle, which moved Halle’s community enough to put her in our top 10, and convinced our judges to award Halle with this year’s title and prizes — an award plaque and $250 in classroom supplies. Listen to our interview with Halle on the Preschool Podcast! Generally, why do you think the nominee positively represents the early childhood profession? Halle Rubin is an inspirational leader in the field of Early Childhood. Her positive, strength-based leadership has been the key to the way she has transformed my school’s quality of care. 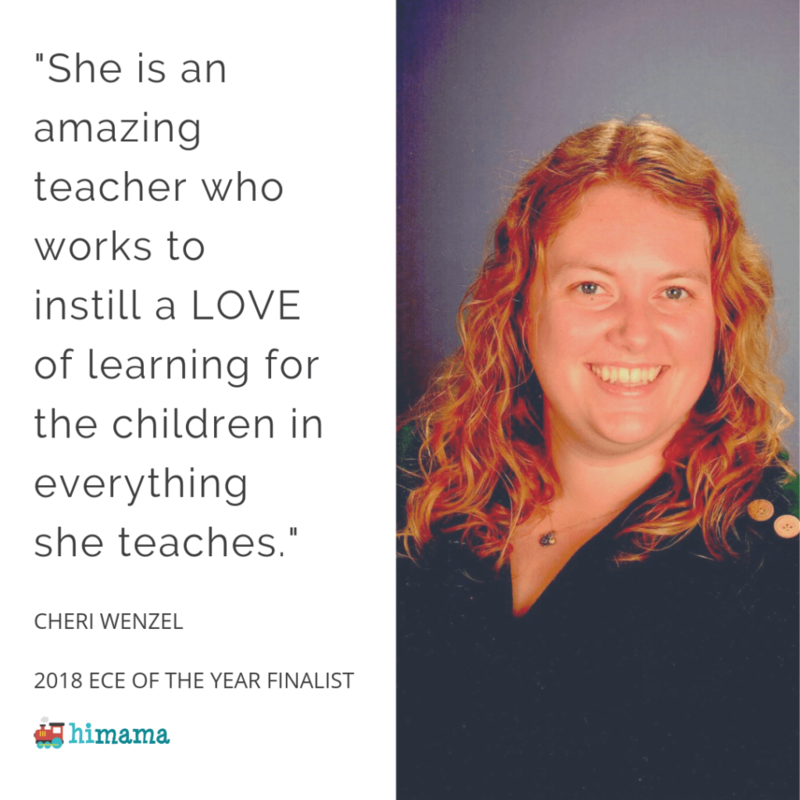 She has implemented new and empowering ways to adapt to the evolving world of early childhood education, and she has no fear when it comes to being adventures in she makes her visions of education come to life. 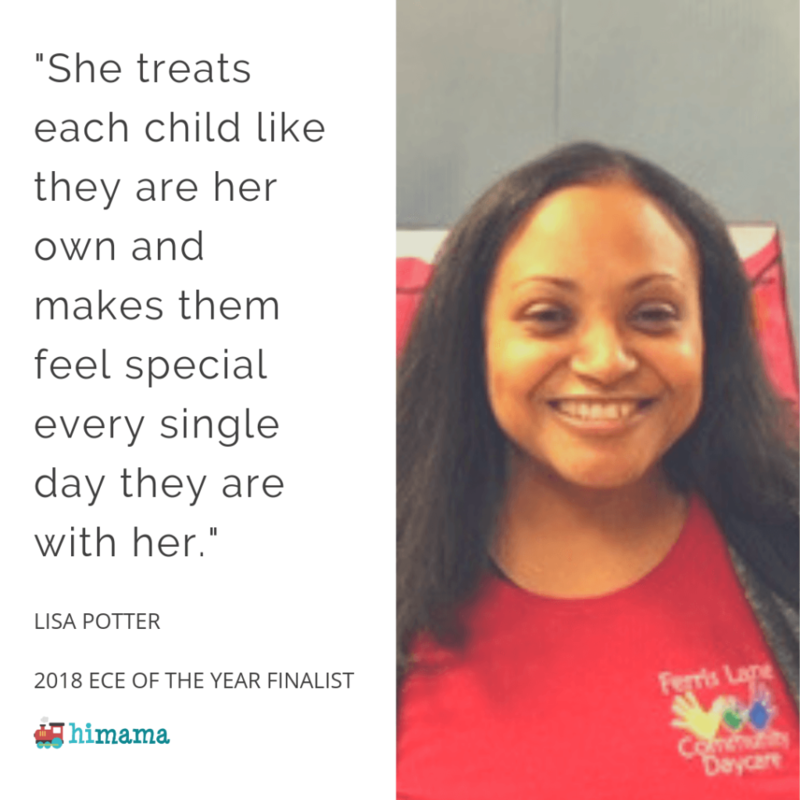 She has transformed our center in many ways and her impact has been remarkable on the students, families and her staff here at Children’s Creative Center. Halle Rubin is a star in this field and deserves to be nominated fo her hard work and dedication to the field. Specifically, how does the nominee improve the lives of children? Halle has the unique ability to have all children feel a sense of self-worth and pride. Her philosophy of education focuses on empowering children to love their unique characteristics and personalities. She shines a light on Social-Emotional development which I feel as an educator is often missed. We typically rely on children to develop this on their own, but Halle supports this growth by implementing vibrant enrichment classes into our program like “Positive Box” and “Value of the Week.” Halle believes that growing children’s social-emotional development includes their experiences, expression, and management of emotions and the ability to establish positive and rewarding relationships with others. “Positive Thought Box” bi-monthly enrichment, helps to support and guide children’s development of empathy, compassion, and social awareness by letting them express their thoughts on paper which is put inside a box, and then reading these uplifting notes later in the month to help remind them of all the positivity in their lives. Being a teacher under Ms. Halle’s wing, I have seen this unique enrichment come to life, and transform my students’ thoughts and overall outlook on life. Values inform our thoughts, words, and actions. They are important because they help us to grow and develop into the people we want to be and help us to create the future we want to experience. Children’s Creative Center’s classrooms pick one value of the week to study through play, observation, and a class discussion. Halle has helped my students gain an understanding of how personal values play such an important role in achieving happiness. My students create classroom values which are a guideline to help manage their behaviors, solve problems, and grow their social-emotional development. Because of Ms. Halle, my students are becoming not only smart, little human beings, but AMAZING, GOOD-HEARTED PEOPLE! Besides Halle’s vision to implement a strong social-emotional program, Ms. Halle strives to incorporate diversity in all of her classrooms. She finds unique ways to help the students understand that people are different and unique which is what makes all of us so beautiful as humans. Ms. Halle has reached out into the world by connecting with Preschools who share their culture with us on a weekly basis. Writing letters to far away friends helps to bridge any distance. Having a pen pal, either in a different country or just a town away helps kids practice skills in literacy, writing and geography. Halle’s idea of “A Letter to the World” enrichment class, connects our students to another class around the world once a month through written letters and art. My students have loved connecting with their new friends and learning that people all over the world come from different places, yet still have a heart for learning, connecting with others and making a true difference. Halle believes that one of the most valuable lessons students can learn is how to understand and appreciate perspectives other than their own. Halle has challenged our students to think globally and embrace cultures around the world. “Skype Around the World” is an enrichment program in which our student’s video conference another classroom in a different country. 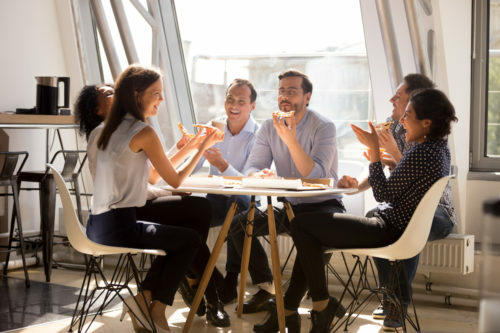 These unique and valuable interactions encourage our students to practice different languages other than their own and explore different cultures. Halle has connected our students with others around the world, creating memorable teaching moments that last a lifetime. I have never seen such a leader come up with such creative, hands-on experiences for young children. She is an inspiration! Each and every day Ms. Halle radiates with love and passion for the field. Not only does she work long, and stressful hours, but comes in on weekends and holidays to make sure all of her classrooms sparkle, teachers have the right materials to make their lesson plans come to life, and to ensure the school is looking its best. Even after receiving her Masters, Halle continues to further her knowledge in the field so that she can share her knowledge with her staff. She pushes her staff to think in different ways and challenges themselves as educators, but also finds ways to be comforting and supportive to the personal needs we each have. I cannot stress how much Ms. Halle does for us. She has only been our Director for 9 months, and to many of us, she has become our angel of inspiration, ultimate support, and light of positivity. Anything else we should know about the nominee? I mean this with all of my heart, Ms. Halle deserves to be a nominee of such an award. Parents have seen such a positive change in their children, their knowledge and their passion for learning. Teachers feel supported, cared for, loved and respected for their work. We all feel these deep feelings because of Ms. Halle. Below are the nine other finalists who were in the running for this year’s award, along with their nomination details. Although they did not officially win, they deserve recognition for the passion they bring to their important work each and every day. Teacher at New Horizons Academy in Des Moines, Iowa. Nominated by Director, Jeannine Laughlin. Christina has worked with 3 year olds for many years. When she came to New Horizon Academy we were in need of an infant teacher. When I asked Christina if she would take on the task, she was hesitant but being a team player (which is so necessary in the early childhood profession) she agreed. 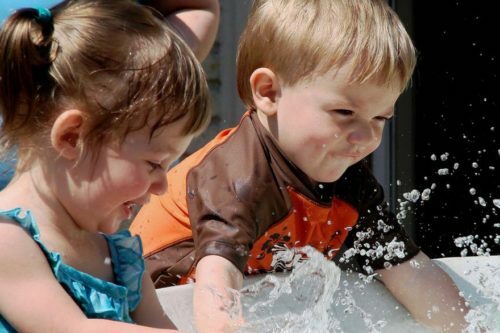 She is the most laid back, compassionate, exuberant about doing fun activities infant teacher. Christina has four children of her own, comes to work every day and gives all the love, time, care and attention to each baby she cares for. Parents love Christina and give her hugs when they leave their children each day. Christina is constantly talking or singing to the babies in her care. 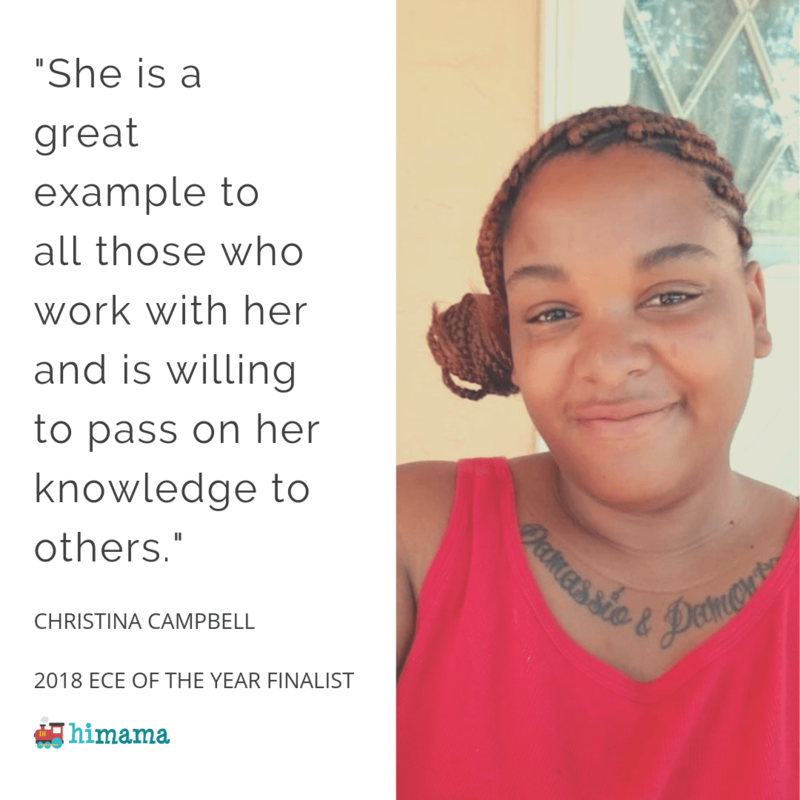 She is so nurturing and calm, and her classroom and the other caregivers in her classroom also exude that same calm when working with Christina. She implements our curriculum to its fullest and provides the babies with fun, explorative learning activities to stimulate brain development and give the infants an opportunity to explore the world around them with all their 5 senses. Christina has been in the early childhood field since she graduated from high school. She is a great example to all those who work with her and is willing to pass on her knowledge to others. She has a great amount of love for the infants in her care, but also for the parents! Christina has recently started to work on her CDA and has also been awarded a scholarship to go back to school to get her 2-year Early Childhood Associate degree. Christina adopted three children, who were in a very abusive situation, when she was 21 years old. She has been raising them on her own, along with a biological child of her own. She is a wonderful mother and cares for her own children (one with special needs) and has taken on additional responsibilities at our school, as well as going back to school to better her education. Angela is an exemplary teacher. Through & through she defines what ECE should be. 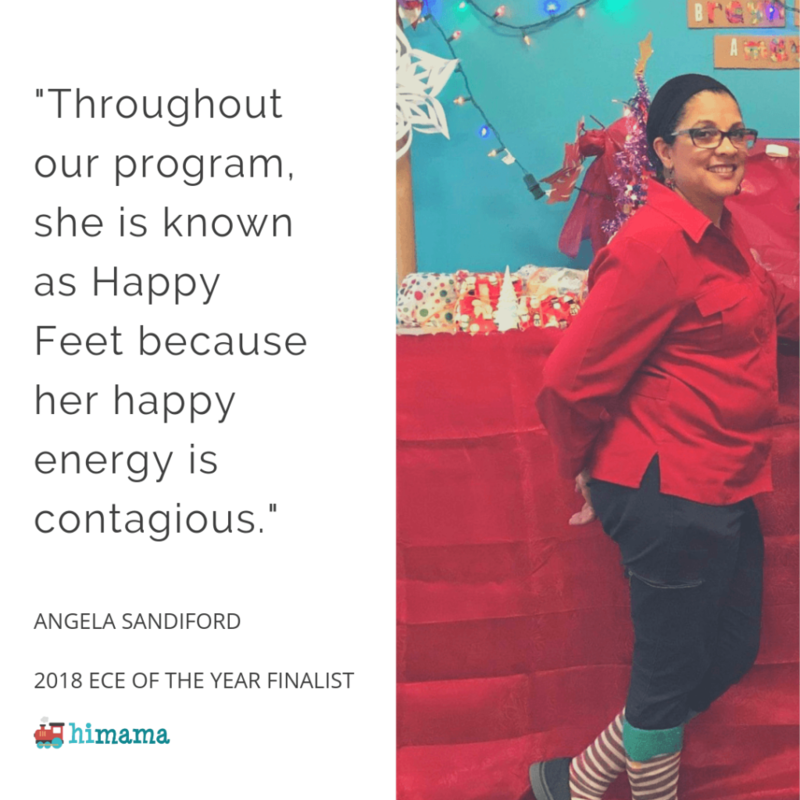 Throughout our program, she is known as Happy Feet because her happy energy is contagious, both in her classroom (with children & families) and with co-workers. In fact, one of my favorite parts of her classroom are the consistent “happy sounds” of both children & staff. Angela also consistently builds confidence in young children and encourages them to take risks. In her classroom there’s consistent back and forth authentic conversations where she challenges the children & supports their metacognition skills. Angela takes a genuine interest in conversations with the children & her interactions with the children are of the highest quality. The children in her classroom are thinkers, doers and independent. Additionally, academically Angela has a real understanding of supporting children’s “depth” learning. She innovative and consistently builds on the children’s interests by focusing on the core subjects. Angela introduces important (& higher order) content to her young learners in a way that they are able to understand. Being in Angela’s classroom feels like a safe haven from the rest of the world. The children are consistently encouraged, supported and strengthened. Angela is a self-started and lifelong learner. 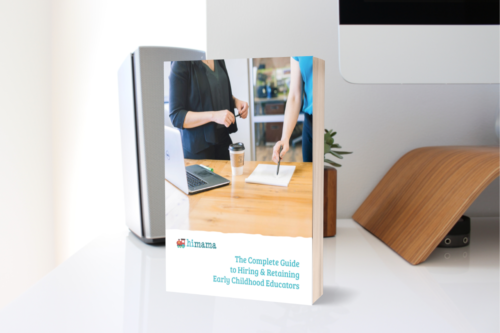 She attends many workshops & trainings as well as searches for supporting articles and evidence to support her ECE practice. Angela is also a master recycler – she recycles everything and has children use materials for open-ended explorations/creations. Overall, Angela is a phenomenal human being and loves ECE. Our program is strengthened because of Angela and we are very fortunate to have her. Ms. Cheri is the epitome of what you would want in an early childhood teacher. She is gentle, positive, and kind in all of teaching interactions. She remains calm even in busy moments with a huge smile on her face as she quietly reigns the children back in with one of her many songs and games. Ms. Cheri is a ‘Best Friend’ to every child in her room and the classrooms around her. They all know they can go to her to see for hugs and love. She is an amazing teacher who works to instill a LOVE of learning for the children in everything she teaches. She truly cares about each of the children entrusted to her, she gives them all of her best and they in return love her and thrive. By getting to know each child’s personality, Ms. Cheri is able to teach in a way that they will learn. Figuring out different methods and different ideas to reach each and every child. She nurtures and spreads her love so that the children in her class feel comfortable letting her in to help guide and teach them. She really spends a lot of the day listening to them- she wants to know what they think, and what they have to say, which helps build their confidence, self-esteem and image. Ms. Cheri’s favorite part of the day is story time. When Ms. Cheri reads the room becomes so quiet that you could hear a pin drop. Each child hangs on her every word as she brings them along on the adventure. We have had so many children get to Ms. Cheri’s room thinking they are not into literacy- but she helps them love it. So many children have left her classroom to go to kindergarten already reading their own starter books so that they are able to go on their own adventures. Ms. Cheri not only loves and nurtures the children in her care, but she also makes it a point to have amazing parent communication. She will stay late at night to catch parents at pick up time to tell them a funny story or to talk about something their child said. 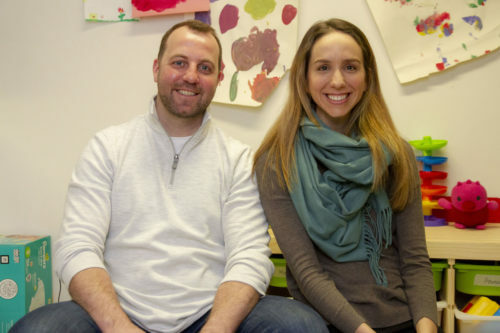 Partnering with the parents is key to her teaching style, she wants everyone to grow and work together so that each child receives the education style that they need to grow and thrive. “Miss. Brenda” joined our small Co-Operative Nursery School a few years ago leaving a full-time position with a large childcare agency. Her primary reasons were what we were looking for in an employee. She wanted to work for an organization that would allow her to focus on the Children and allow an involved approach from developing our program and curriculum to being in the classroom to see her program and curriculum and children flourish. Brenda has had experience on the administrative side of childcare and brings this knowledge with ministry compliance to the table consistency and maintains her RECE certificate and performs duties relating to her RECE with the utmost confidence and respect for regulation, children, family members of our membership, community partners, coworkers and our Board of Directors. Our organization was operating in the basement of a 150-year-old building with no windows. 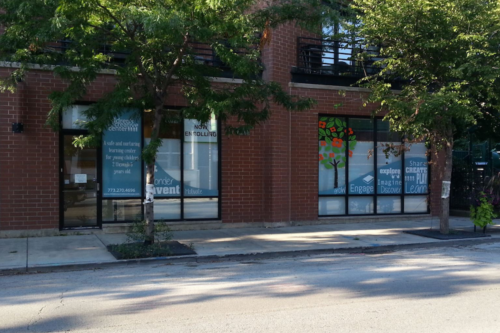 In the last year, we have relocated to a new building that is bright and spacious. Brenda has taken on this transition both from the organizational side of relocating the classroom, organizing it and overseeing program purchases and as an ECE. Due to her diligent work and countless hours that she has put in after the program concludes our children transitioned thru this relocation seamlessly. We were able to maintain compliance in our old location and offer our full program while establishing a second location and get all approvals on it so we could close at one location one day and open at the new location the next day. Brenda has been offered alternative positions with school-aged children. This would offer her more hours of work and a better rate of pay. However, she has opted to stay with the early childhood education program that she has established. She continuously enhances our program and our children’s lives on a daily basis by developing herself with attending courses and being involved with community partners and is not afraid to address specified areas that a child may be able to develop and means to do so to better prepare them for school. In the past year, Brenda has volunteered hundreds of hours to ensure that our relocation happens. 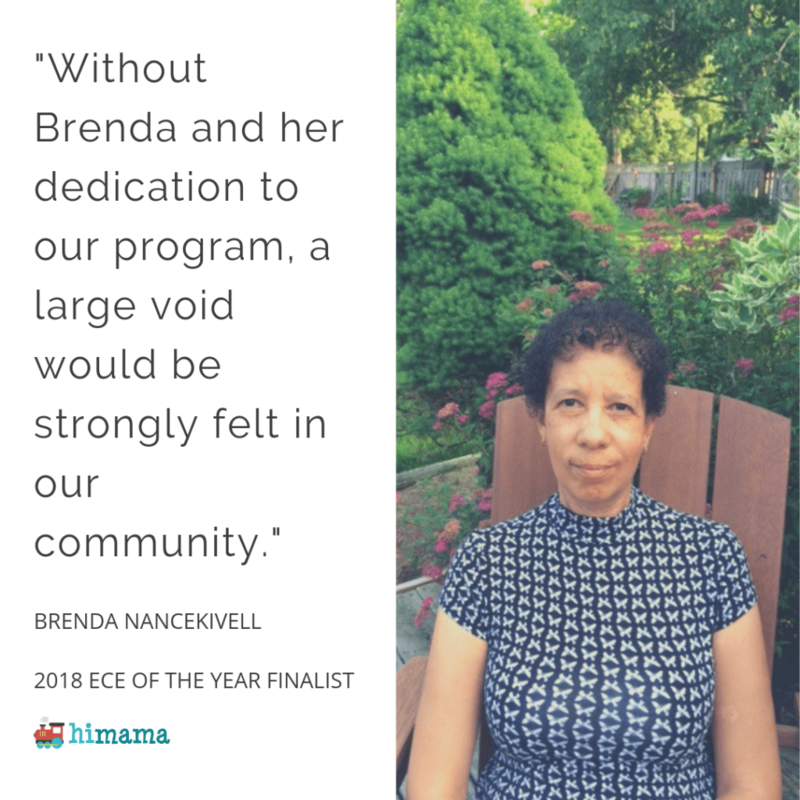 Without Brenda and her dedication to our program, a large void would be strongly felt in our community with the closure of our Nursery School Program. Our Pre-K teacher, Jamie, is someone we cannot live without. She has a loving and caring nature and it carries over to everything she does in the classroom. 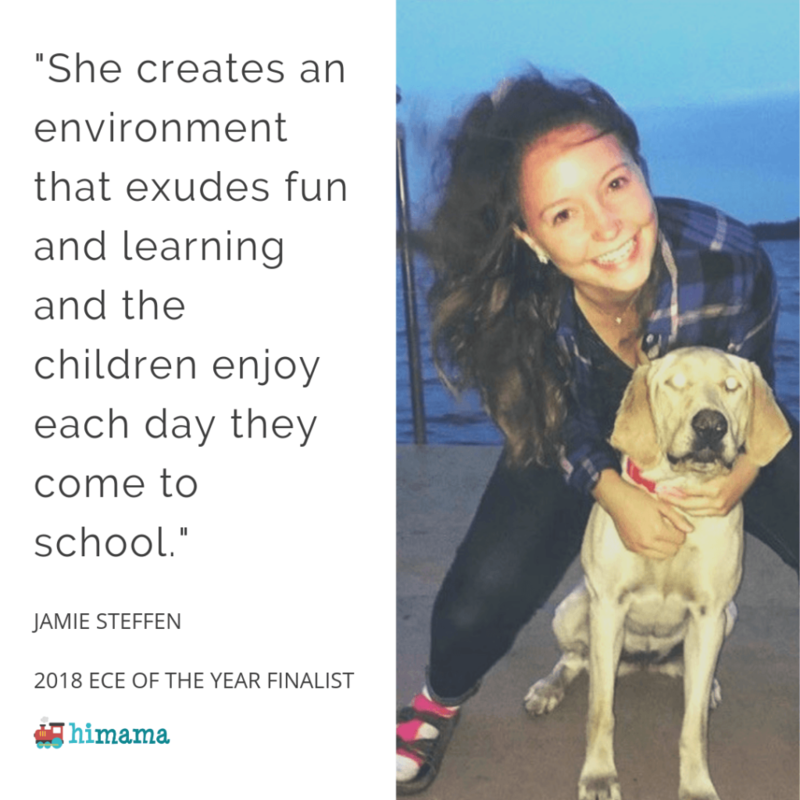 Jamie is passionate about helping children learn, and it shows in her classroom through the activities planned, the children’s work that is on display, and how she implements her curriculum and goes above and beyond. She creates an environment that exudes fun and learning and the children enjoy each day they come to school. Jamie’s caring and compassionate nature allows her to work with the children to build self-esteem and have fun with learning in a positive and encouraging environment. The activities she plans each day help the children thrive and creates a place where they have a love for learning. Her children definitely go to kindergarten ready to learn! As a recent college graduate, Jamie has jumped into her new role 100% and is so excited to share all her passion, knowledge and ideas with others. Her classroom is one we use to send new Pre-School and Pre-K staff to observe in and she is proud to show off her hard work and dedication. Jamie has a great future with our company and we hope to have her move into a role that will allow her to take on more leadership and training in the near future. Mirza is dependable, reliable and a hard worker. She has remarkable skills in caring for, nurturing and engaging children in the intentional teaching of young children. She has a talent for understanding children’s needs and building their self-esteem and confidence. Mirza is the best example of how a teacher is. She fosters and guides children. Mirza is a team player. She respects every individual, therefore, has built great relationships with other staff members. She is highly respected by all team members. She works together with them to create a positive working environment. Mirza doesn’t only teach the children — she loves them. You can tell as soon as the child walks in how she brightens their day with her smile. She quickly develops a good rapport with her students, establishes solid routines and employs consistent and fair practices in her classroom. 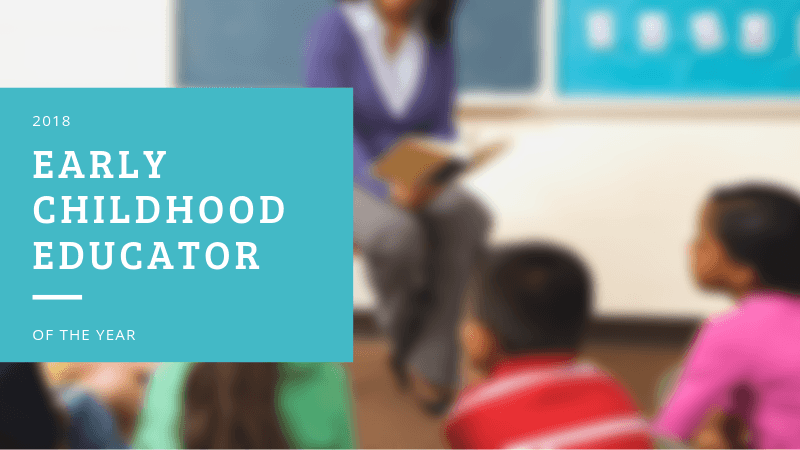 She builds strong relationships with the children and uses those relationships to partner with the families and to recognize the unique qualities of each child in her class. 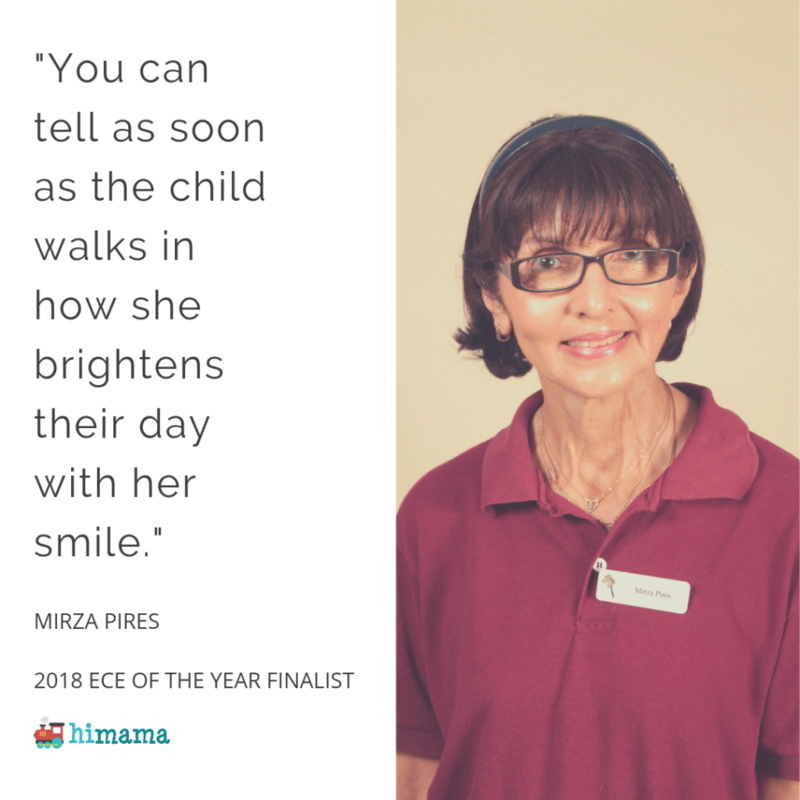 Mirza has held a CDA Credential in Preschool for 6 years. She walks into her class every day ready to teach. Children walk out happy and sharing their positive experiences. If I were to share an example of proof of her passion I would say that her children still come visit her at the school after they graduated. Mirza is above and beyond what I ever could have asked for as a teacher for our school. She is a bright, animated and a very passionate woman who puts in an incredible amount of effort and time to ensure that her classroom is a warm, welcoming space full of various creative and challenging areas for the children to explore and discover. She is continuously exposing them to their environment and the natural world around them. She structures the children’s day so that their learning experience is fun and interactive. Mirza is an incredibly loving and supportive person. I cannot recommend Mirza Pires enthusiastically enough. She has brightened our students’ lives with her energy and enthusiasm. The world is truly a better place with teachers like her. Brittany ALWAYS has the children’s best interest in mind. She creates the best, hands-on, engaging lessons that the children truly enjoy experiencing. She makes sure that every child feels special every single day. She has built very strong bonds with not only the children in her class but their families as well. They stay connected long after graduating from our school. Brittany takes what she learns at seminars and professional development training and implements the tools and shares the information with her co-teachers. Brittany is the most committed teacher we have ever had on our staff. She has been with us 7 years and calls this her ‘forever job’ because she truly loves what she does…and it shows. 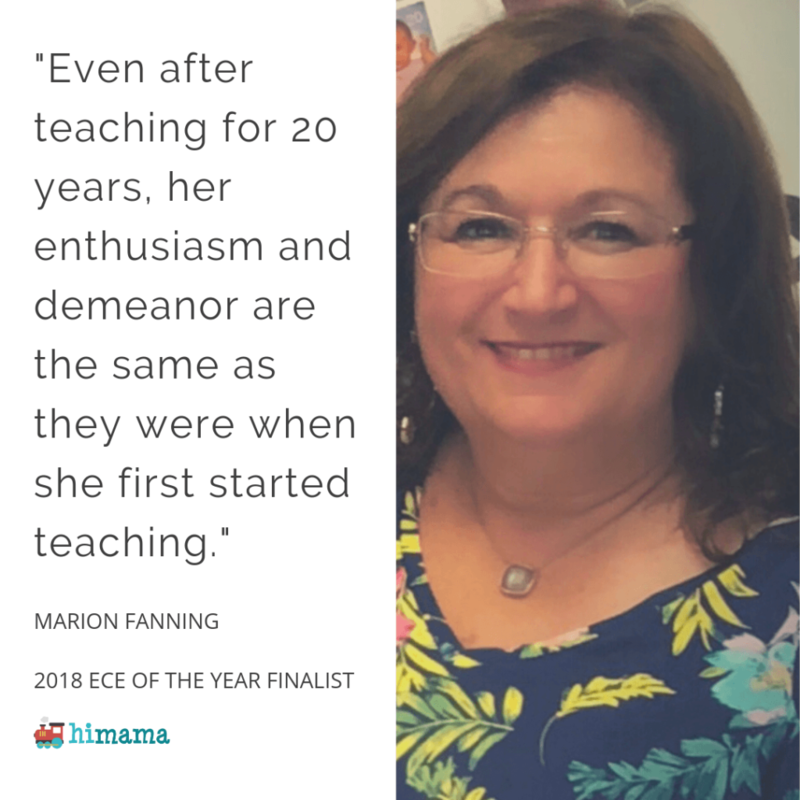 Marion is an inspiration to all young teachers to be! Even after teaching for 20 years, her enthusiasm and demeanor are the same as they were when she first started teaching. Every day Marion gives her all to her students and carries herself in a way that both children and adults love and respect! Marion has the ability and desire to get to know each and every student so that she can help them learn and reach their full potential. She teaches using all different learning styles on a regular basis and keeps the children yearning for more! Marion is continually educating herself on the newest and most effective ways of teaching her pre-schoolers. She does this on her own time by talking to new teachers, librarians, tenured teachers, anyone who can give her some cutting edge ideas she can try with her students. Marion fully deserves this nomination! I appreciate and thank her for all of her creativity, hard work, loyalty, and dedication! I hope she never retires! Lisa is totally dedicated to her position, her centre and her families. She constantly goes above and beyond for her job. She’s very caring and loving towards the children in her care. She treats each child like they are her own and makes them feel special every single day they are with her. We can always find her on the floor interacting with her preschoolers or sitting at the table with a group of children teaching them how to take turns and how to share by playing games with them or table top activities. She’s very passionate about her job! 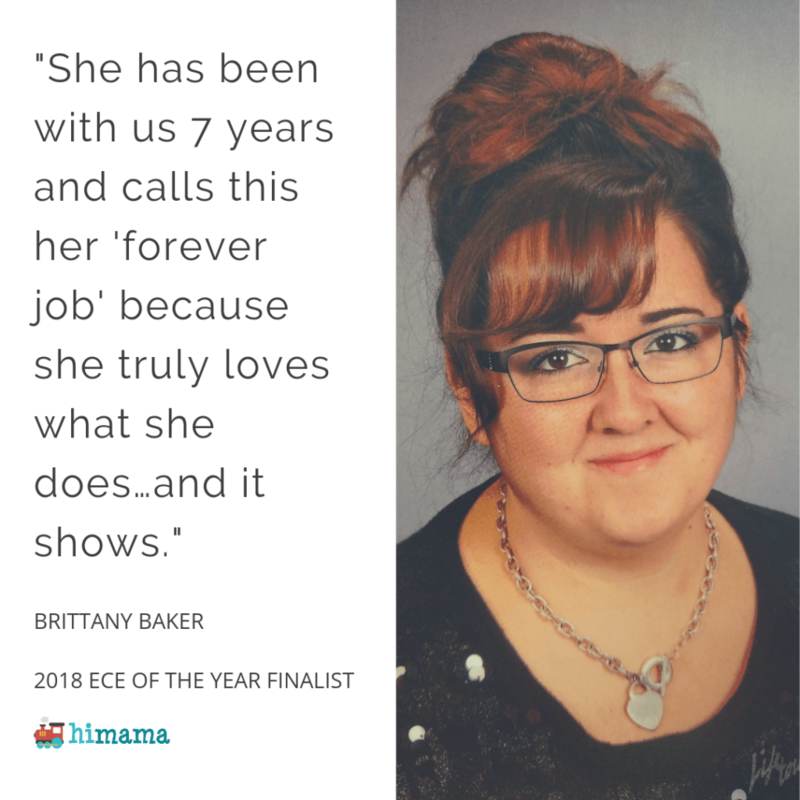 Thank you to all of our nominees, nominators, voters, judges, and most importantly, to each and every early childhood educator out there who has devoted their time to improving learning outcomes for children!